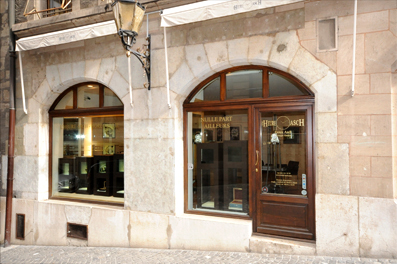 L’Heure AscH “unequalled anywhere.” The store opened in Geneva’s old town in 2001. For more than 20 years, Denis Asch, a trained watchmaker, has enthusiastically devoted his time to fine watchmaking. L’Heure AscH soon gained a reputation among its customers for unearthing outstanding niche brands. Some of the brands discovered by Denis Asch have today become major players in the luxury watchmaking sector. Increasing visibility over the years and more especially the people he knows have made him a privileged representative who has built relationships of trust with collectors and watch manufacturers aware of his knowledge of the markets and his forward looking approach. This success has caught the attention of the media, which have published a number of stories about L’Heure AscH and Denis Asch articles. L’Heure AscH has grown and evolved over time while maintaining its profile of striving for excellence. 2011 marked a turning point for the company, which declared itself a retailer without stock. Its role today as a horological consultancy gives L’Heure AscH total freedom in its product offering for connoisseurs and the most demanding customers.